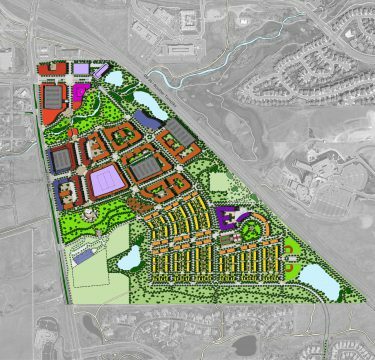 Superior New Town Center is a 162 acre parcel of vacant land on the Highway 36 Denver-Boulder Corridor. Superior Original Town is just west of McCaslin Blvd., which borders the western edge of the site. Coal Creek and Coal Creek Regional Trail run through the site, providing a wonderful natural amenity as well as regional access to the site by bike and pedestrian ways. 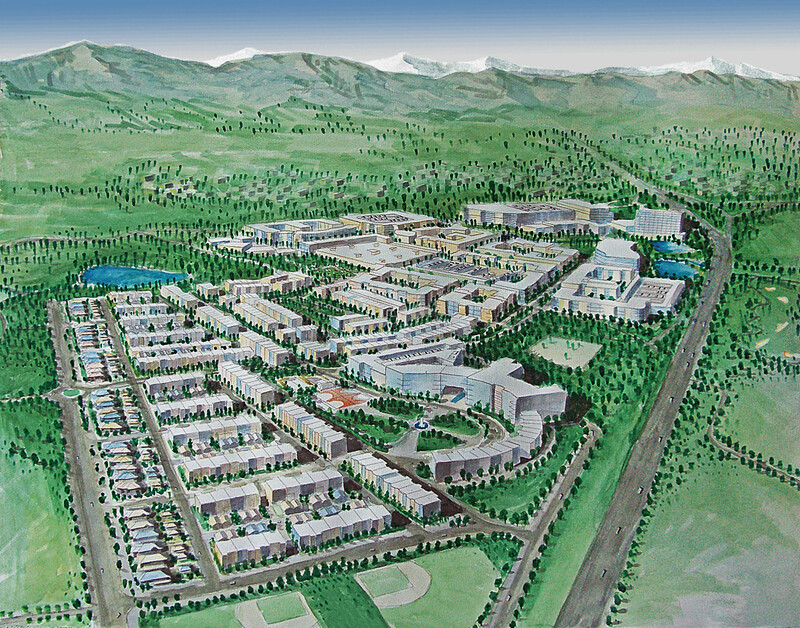 The natural topography of the site lends itself to great views of the front range as well as the creation of special districts separated by natural “green fingers” that serve as recreation for the town. The proposed program includes 250,000 sq. ft. of retail; 450,000 sq. ft. office; a hotel and conference center; 120,000 sq. 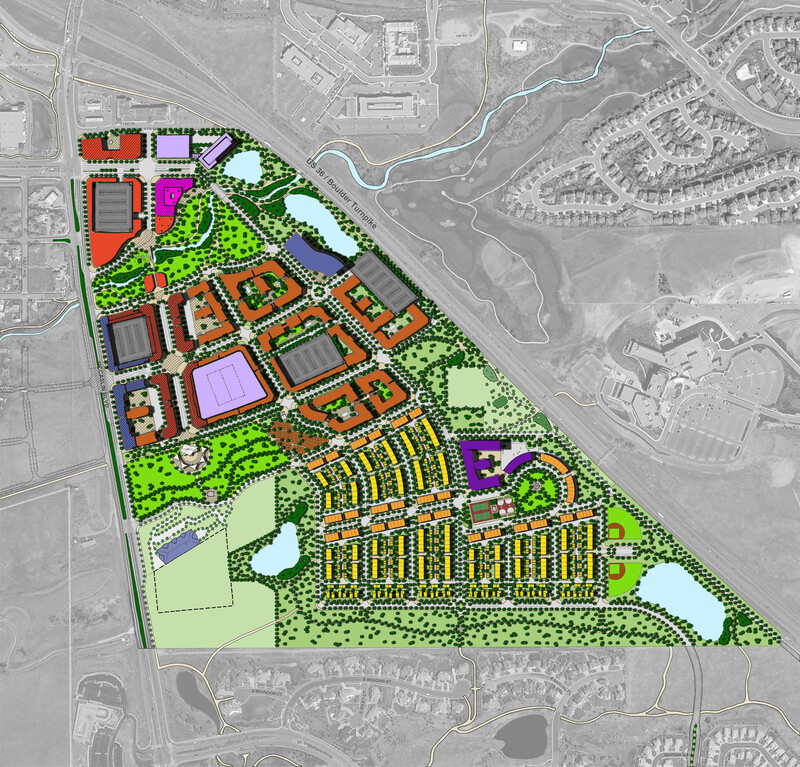 ft. ice rink and approximately 2,500 dwelling units. Superior New Town Center is envisioned as a regional draw for shopping, dining, and gathering that will provide more diverse housing and boost tax revenues of the town and the real estate value of Boulder County. To create a walkable town center with a diversity of uses and a unique identity to support the town of Superior and the larger region.